Toss Your Dirty, Germ Filled Kitchen Sponge in the Trash! It’s time to throw away your kitchen sponge. Here’s why you should then replace it with the DishFish. I think by now, most of us know that kitchen sponges harbor germs. They are filled with bacteria and germs, and tend to get stinky too. I know, using a dish rag is better because you can wash it in the machine, but they don’t get those dishes as clean as a sponge. Which is where DishFish comes in! 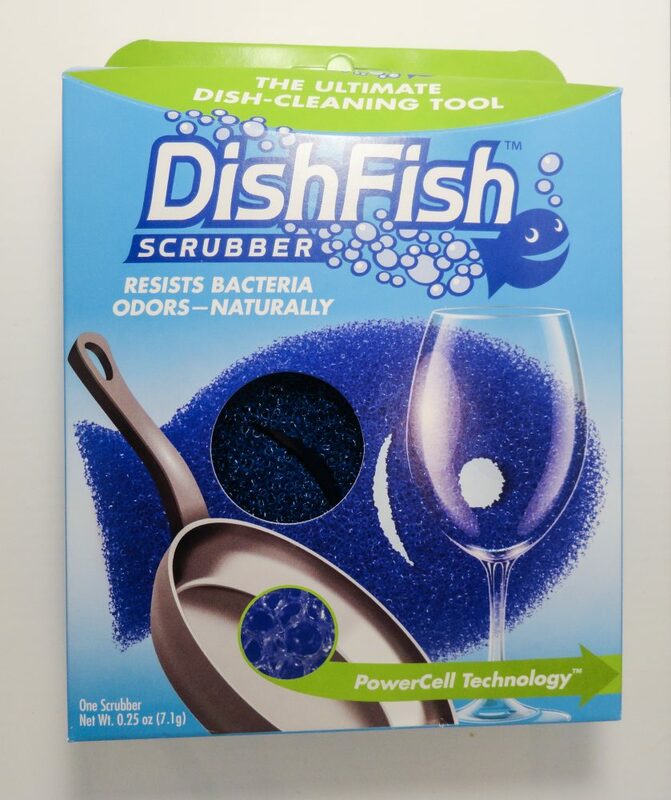 DishFish is a revolutionary dish cleaning tool that will change the way you think of a kitchen sponge. It’s made with PowerCell Technology™ that makes it resist nasty germs and bacteria. The secret is in the open-cell structure that allows water, food, and germs to flow right through instead of being trapped inside. This also means that it won’t stink like typical kitchen sponges. In turn, you’ll be saving money, because you won’t be tossing sponges and replacing them with new so often. 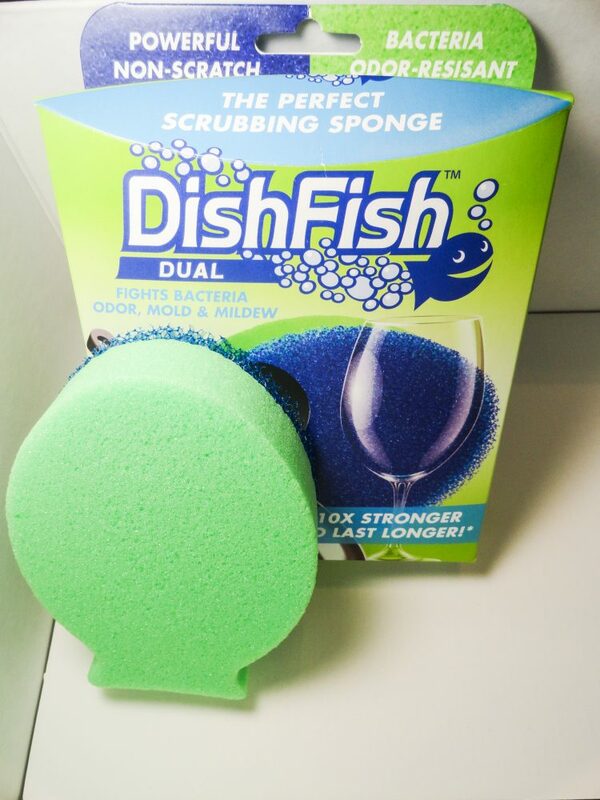 Not only is DishFish a healthier option for doing your family’s dishes, but it’s safe too. Wet or dry, it won’t scratch up the Teflon, glass, or other non stick surfaces. But it cleans better than traditional sponges. The soft, pliable material flexes when wet and reduces breakdown, so it will last longer than normal sponges too. 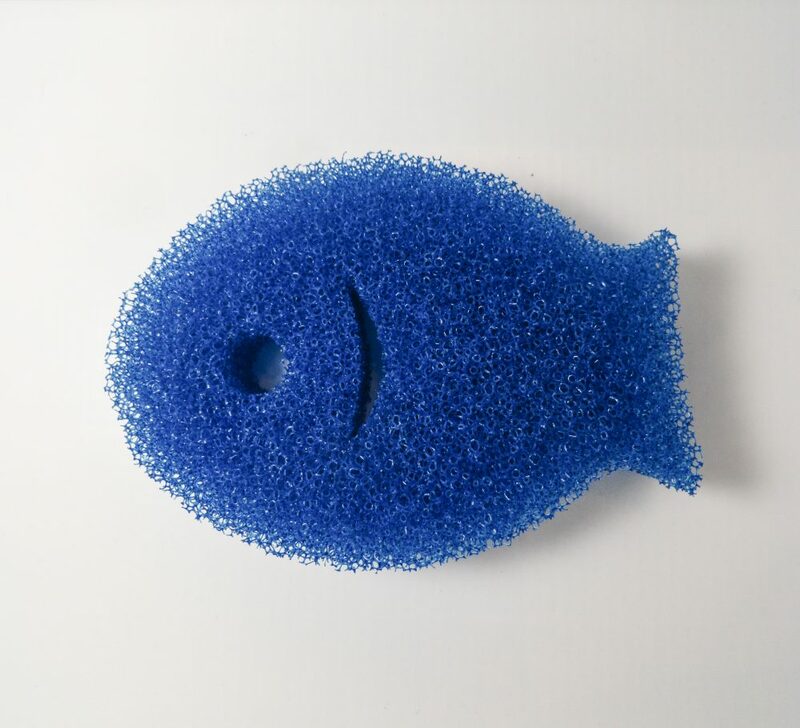 I love my DishFish Scrubber! It fits perfectly in my hand, and into glasses. The gil is perfect for cleaning spoons and other utensils. When I’m done, I stand it up on its tail to dry. It works wonderfully! I also love the DishFish Dual. One side is the Scrubber, and the other, is a sponge. (Don’t worry, it has the same technology as the scrubber so it won’t be germy and stinky! My DishFish last twice as long as other sponges, and it never stinks! I feel better knowing that I’m using something safer to clean my family’s dishes, the counters, and more. To get yours, CLICK HERE. You can learn more on their website and follow via Facebook, Twitter, and Instagram. I received this product to facilitate my post. All opinions are my own!